Washington state residents were relieved that a 22-year-old college student at Seattle Pacific University tackled a gunman and thus prevented any more killings at the school Thursday. News reports revealed that Meis and his fiancé are planning to be married later this month. Realizing that these should have been happier days for the couple, strangers began buying all the wedding gifts on the couple’s online Target registry, according to a collection of tweets posted by Buzzfeed. When there were no more left to purchase, people began contributing money to pay for a honeymoon — all to say “Thank you”. The campaign quickly spread online and in local media, after an online fundraising page was set up by a stranger, Jessamyn McIntyre. She set a goal of $5,000 and within hours on Friday the total shot to $6,000. By Sunday, more than 1300 people had donated $41,400. 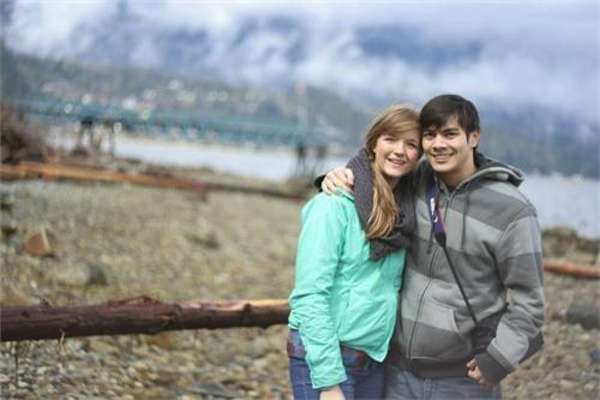 Jon and his fiancé Kaylie are scheduled to be married on June 21. He deserves all the generous gifts he receives. How many lives were saved because he was brave enough to step up………..he risked his own life. May he and his wife to be enjoy years and years of happiness and good fortune. Well, well, what do you know? It looks like the NRA’s claim that the only way to stop a bad guy with a gun is a good guy WITH A GUN is… just a bunch of crap. What a surprise.